Excellent quality Phone holster. will fit GPS, Iphone etc. Great for two-way radios, GPS’s and anything that’s 5” or less in height. For fit, simply measure the height of the device (excluding antenna). If it’s 5” or less, this is the holster for you. Variations in thickness are accommodated by elastic retention. Comes with our heavy duty spring steel clip pre-installed for quick and secure attachment to pants belt, duty/rigger’s belt, waistband, pocket seam, backpack strap, etc. 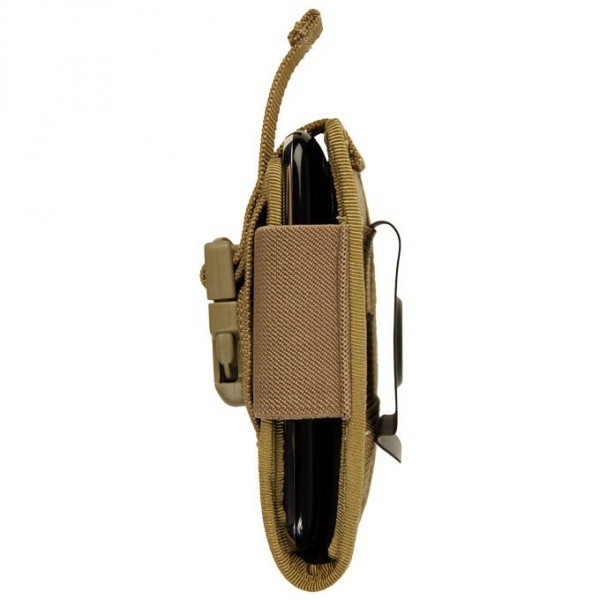 Clip can be removed and 3" TacTie™ installed for MOLLE compatibility. Purchase through PayPal by using the "Add To Cart" button above or use the form below to order the Maxpedition 4inch phone holster . 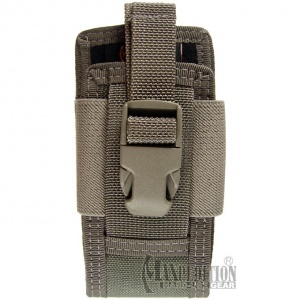 Feel free to contact us if you have any questions about the Maxpedition 4inch phone holster .